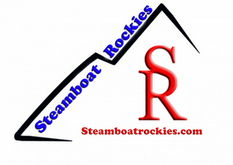 Welcome to our Steamboat Rockies Condo Website. We are happy to present our newly remodeled property in Steamboat Springs Colorado. It is located at The Rockies Condominium, 1945 Cornice Road. We would be pleased to have you join us for some of the many year round activities that Steamboat Springs, Colorado has to offer. Our unit is a 2 Bedroom 2 Bath “Large” Condo. There is over 1,000 square feet in the unit and even large groups won’t be tripping over each other. We purchased the unit in June of 2012 and immediately added some personal touches to make it more of a “home away from home”. We replaced the living room furniture with a queen sleeper sofa and leather love seat. We replaced the mattresses in both bedrooms and made the beds with new high quality sheets. We “overstocked” the kitchen with every amenity we could think of right down to a “potato masher”. During our first year, we listened to our guests. We were intent on not making the condo special just to us but to all of our friends and family, past and future. In 2013, we continued the make over by replacing the fireplace with a more efficient model that heats better with less gas. We replaced the hearth with stone and installed a “beetle kill pine” mantle. The wall next to the fireplace now features tongue and groove “beetle kill pine” as well. To finish off the living room, we replaced the flooring with stain resistant plush carpet. In the guest bathroom, we doubled the size of the shower and then replaced both toilets with “Ecosense” low volume high pressure toilets. We are certain that our past guests we appreciate the improvements. Our living room is warm and inviting, we have a new queen sleeper sofa and love seat that make it comfortable for relaxing after a day on the slopes. We have a large “LED” television with Comcast Cable and a Blue Ray player and connection for your “Netflix” or “VuDu” enjoyment. Our dining room table seats six and we have room for an additional 3 at the breakfast bar. The kitchen features a new refrigerator, stove, dishwasher and microwave. It is well stocked with almost everything you could need for cooking a family dinner or just grabbing breakfast to go. We have ample utensils and cookware to make you stay like home. Our guest bedroom features a queen bed and large dresser. The guest bathroom has just been redone and has a new 48” shower and an “Ecosense” toilet. We have fresh towels for the bathroom and pool towels to use in the hot tub or pool. The master is a true suite with a private bathroom. The master suite has a queen bed and large dresser to fit all your clothes. Each bedroom has humidifier in the closet. Looking for a condo? Why pick our unit in The Rockies? The Rockies is perfectly situated near the Steamboat Base area. Whether you want to walk the short 7-10 trip to the base or take the “Purple” STS Free Bus (There are 2 bus stops at The Rockies and it runs every 20 minutes during ski season). The Steamboat Bus line has many routes that will take you to the mountain base or downtown. After the bus stops running, The Rockies has a free “on-call” shuttle that will take you downtown for dinner or to the market to get your groceries. Our unit is located in the center of The Rockies adjacent to the heated pool and hot tubs. Our unit is less than 11 steps down from the parking lot on the ground floor. You won’t have to lug your gear up any stairs. Outside the front door is a ski/snowboard locker for easy storage at the end of the day. We have an awesome view of Emerald Mountain from all our rooms. We invite you to explore our website. Check out the new Photos and Video we uploaded. For more frequent updates and find out the latest travel deals and booking discounts follow our Steamboat Rockies Blog. To book it now click on the VRBO link or check out the Calendar.